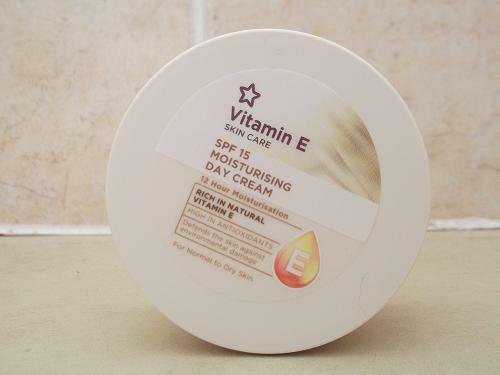 You may have read my recent blog post on Superdrug's Vitamin E Hot Cloth Cleanser and how highly I though of it (read it here), so as a result I picked up the moisturiser from the same range. I've been using it now for a week or so and replaced my usual day cream with it with absolutely no regrets. This product really does work wonders for my skin and I've noticed a change in the way my make-up applies and how soft my skin is. I cut no corners when it comes to skin care, both morning and night and slathering on the moisturiser last is by far my favourite part. First off, the packaging. Just as the case with the hot cloth cleanser, I really like it. It's really simple and understated but it cuts no boundaries with the product itself. It's a generous sized day cream at 100ml and I've barely scraped the top after a week of using it. It provides 12 hour moisturisation (it really does) which is a life saver if you suffer with a more dry skin type. 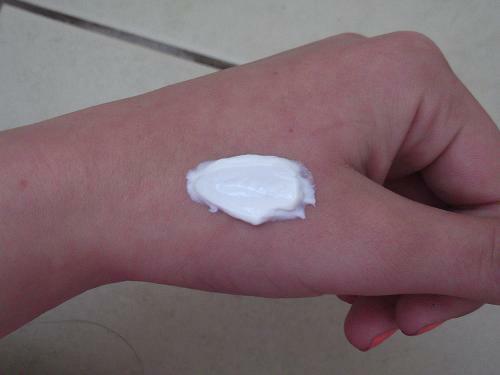 If like me you have a combination skin, fear not as it is not a greasy formula at all. I don't find myself having to apply any more powder throughout the day as I usually do. 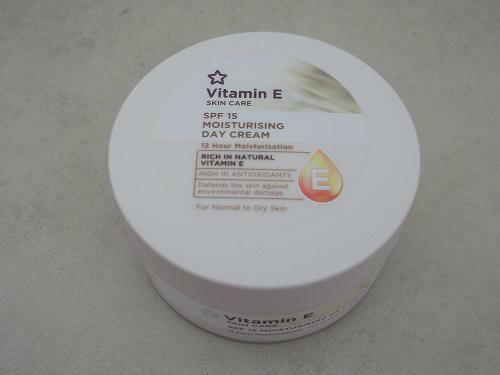 "Vitamin E SPF15 Moisturising Day Cream provides 12-hour moisturisation and has been specially developed to hydrate, nourish and protect your skin against the sun's UVA and UVB rays." I became more aware of using products which have sun protection in them when I went to a Dermalogica skin event and since then I try to make sure my moisturisers and foundations have some sort of protection in them. It's better to start young than to not start at all! 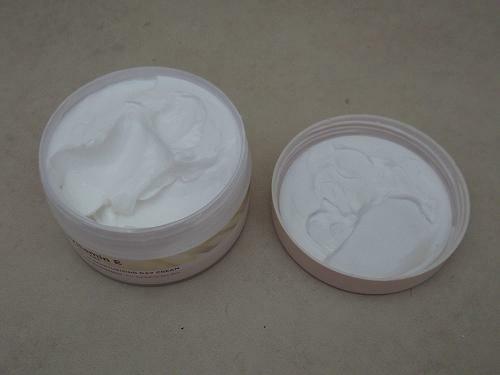 The texture of it is not a thick cream but not a watery one either, so it sits right in the middle which makes it great for most people to use. I also really like the way this smells, it smells identical to the hot cloth cleanser, sort of a fresh but natural smell. I have a bit of OCD when it comes to the smell of things as I hate applying products which smell like a science lab. I'm really liking the Superdrug Vitamin E range, and it's so cheap I can stock up on as many products as I like. 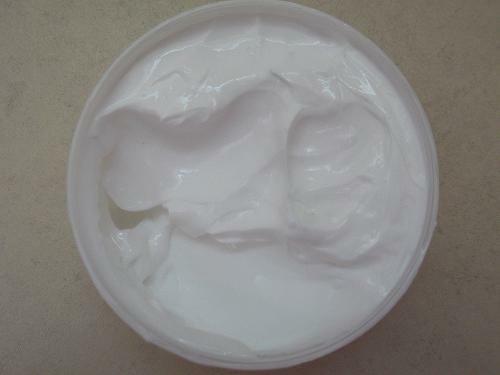 I picked up the moisturiser for only £2.99 which is a bargain, but I'm looking to try the eye cream next. Have you tried any great moisturisers recently? 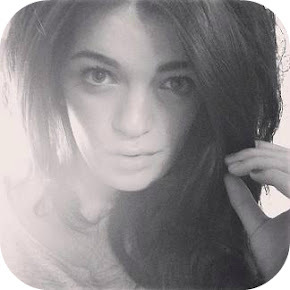 Or have you tried the Vitamin E range from Superdrug? I'd love to know!